We instinctively know that small and medium size businesses and corporations suffer from lack of solid legal representation. For many years, our job as attorneys was primarily to "put out the fires" for our business and corporate clients. 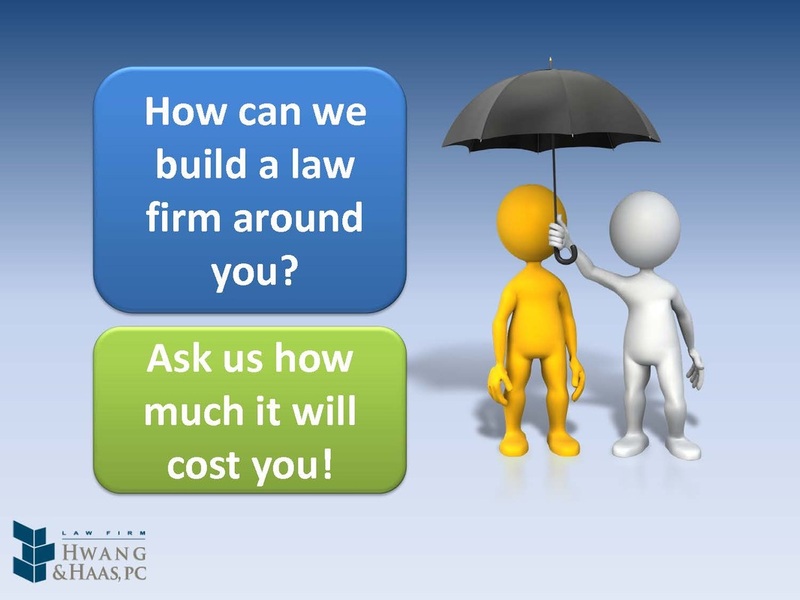 Our clients became frustrated at complexity of legal issues and uncontrollable legal fees and costs. We in turn became tired of watching our clients suffer needlessly because they did not have an "in-house" counsel who could oversee their entire operation. This is why we have decided to become our clients' "in-house" counsel and help reduce their stress. Are there any business lawyers who understand not only our legal problems but also our business? Are there any corporate lawyers who will take the time to help us grow our business? How could we afford the legal fees of good corporate lawyer? How could we go to one lawyer for all of our legal needs? Are there any lawyers who can work with us on an on-going basis with our staff? Most business and corporate executives do not make good lawyers even when they have law degrees. Legal issues can easily cause consternation and stress in otherwise perfectly competent executives. Often our clients' businesses suffer because of lack of legal advice, planning and coordination needed in every aspect of their operation. Like it or not, businesses and corporations need lawyers. As "in-house" legal counsel or "legal department" of our clients, we have developed a unique philosophy as illustrated below. 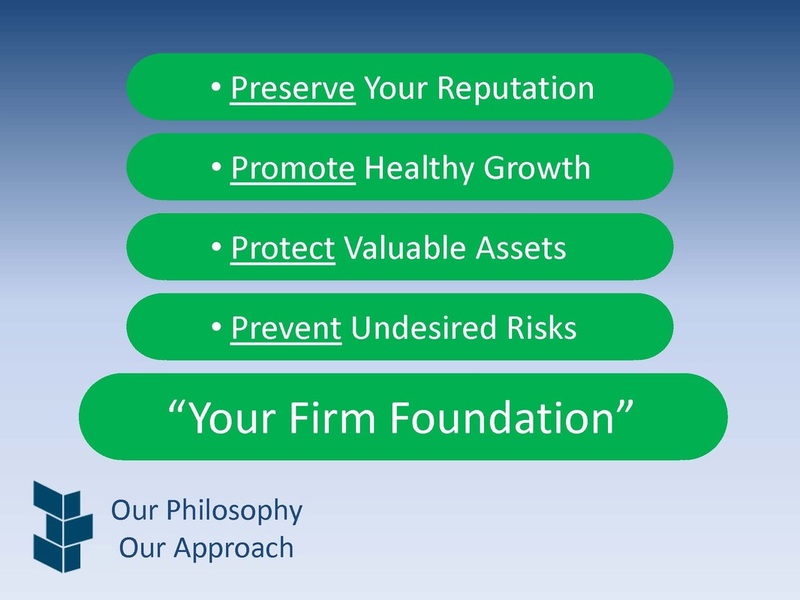 Our philosophy compels us to FOCUS ON OUR CLIENTS. 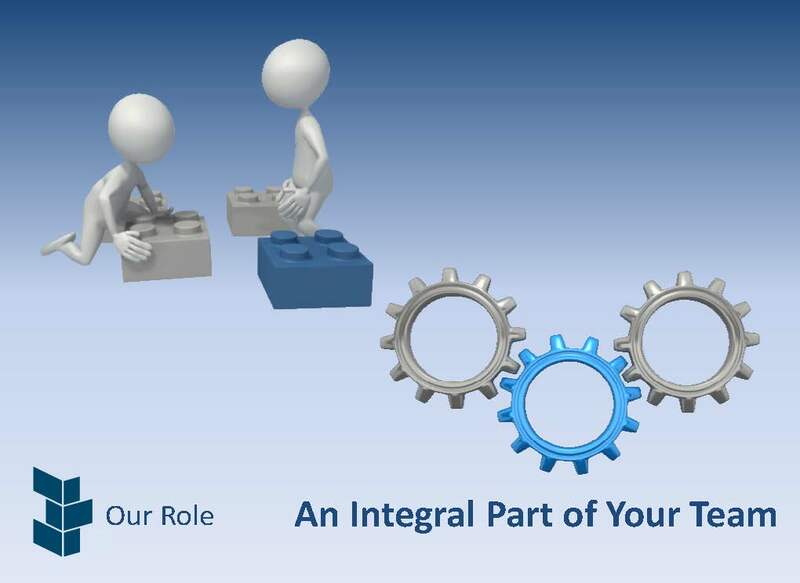 When we are retained as "in-house" counsel, we become an integral part of the executive team of the company. When we are retained as your general counsel, WE HAVE YOUR BUSINESS COVERED.